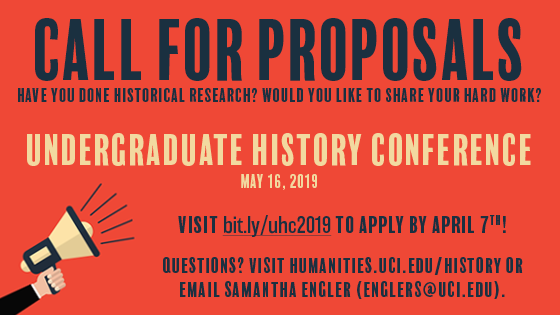 All undergraduate students welcome to apply! Click for details. Congratulations to History Ph.D. 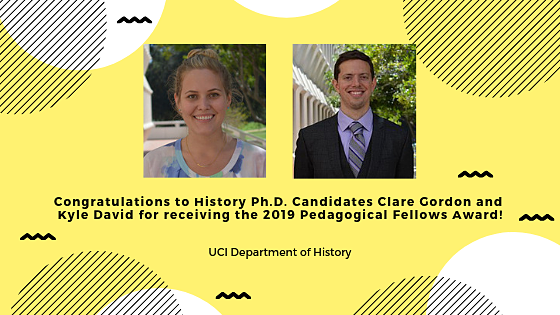 Candidates Clare Gordon and Kyle David for receiving the 2019 Pedagogical Fellows Award! 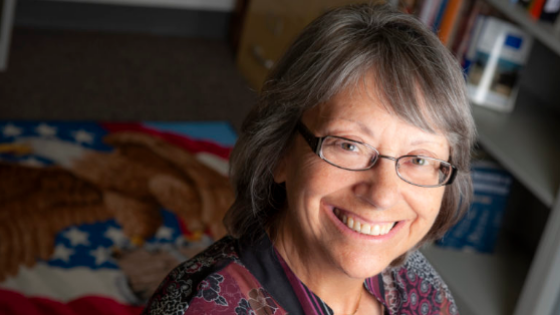 Dr. Emily Rosenberg will receive the Norman and Laura Graebner Award by the Society for Historians of American Foreign Relations at the SHAFR annual meeting in June. 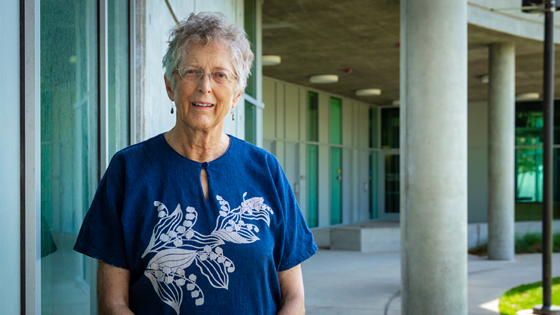 Valerie Elwell spoke to Clare Gordon Bettencourt, a University of California, Irvine Ph.D. candidate in History, about her work at the intersection between food, law, history and culture. Awarded by the Hispanic Education Endowment Fund, honor recognizes the historian's work in higher ed. 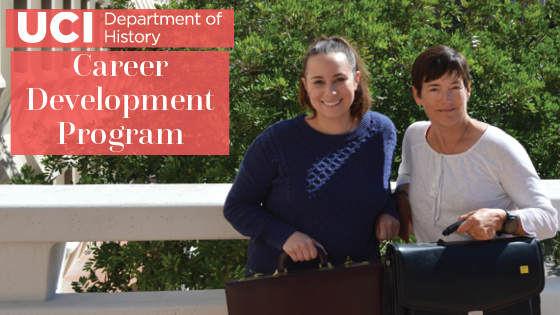 After receiving a 2018-20 Career Diversity Implementation Grant from the American Historical Association, the Department of History has established a new Career Development Program under the leadership of Professor Laura Mitchell and PhD student Stephanie Narrow. Click the image for more details. 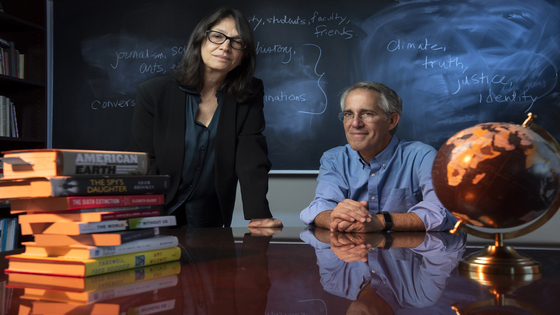 Two UCI professors, including History Department Chair Jeffrey Wasserstrom, bring visionaries to campus to discuss urgent, complex issues with UCI's Forum for the Academy & the Public.